Be the first to share your favorite memory, photo or story of Duard. This memorial page is dedicated for family, friends and future generations to celebrate the life of their loved one. 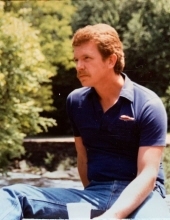 Duard Wayne Rutledge, 68, husband to Gloria, passed away Monday, January 14, 2019 in Lexington, Kentucky. He was born in Georgetown, Kentucky on June 17, 1950 to the late Ethel Hiles and Fred Rutledge, Jr. Duard was a graduate of Scott County High School, a member of Scottish Rite of Freemasonry of Lexington and The American Legion Post 24 of Georgetown. Duard retired from the maintenance department at Toyota. He enjoyed working on mechanical things and was an avid reader. Along with his wife, he is survived by son, Eric (Adrien) Rutledge, daughter, Tessa (Mike) Wagoner, both of Georgetown, Kentucky, and stepsons, Lucien Clark and Albert (Maggie) Clark, both of Lexington, Kentucky, grandchildren, Avery & Caleb Wagoner, Kai, Reed, & Cora Rutledge, and Brandon & Brittney Clark. To send flowers or a remembrance gift to the family of Duard Wayne Rutledge, please visit our Tribute Store. "Email Address" would like to share the life celebration of Duard Wayne Rutledge. Click on the "link" to go to share a favorite memory or leave a condolence message for the family.